In addition, daily prayers are said at least three times a day, beginning with the morning offering, followed by the lunch time blessing, and finally, the home time blessing. Opportunities are given for children to pray common Catholic prayers during this time, and offer up their own intentions where appropriate. Meditation is key to the spiritual life in our school and time for quiet meditation is provided for the children. Each day there is formal collective worship, as listed below. Each week one and quarter hours are set aside for collective worship. The daily fifteen-minute period is intended as a particular time for reflection and spiritual development. Come and See Collective worship happens in class every four weeks during the time slot for the gospel assembly. Pupils plan their own collective worships using our special collective worship planning resources, focussing upon: Gather, Listen, Respond, Go Forth. There are also opportunities timetabled in for class collective worship to reflect on the current value. This will sometimes be teacher led based on scripture with a spiritual reflection. Children will also plan at least one values assembly each half term to reflect on their learning. Throughout the year, parents are invited to class collective worships in the chapel which are carefully planned with the children. Prayer-zone – a lunch time club where KS2 children can drop in and join together in prayer. All children in KS1 and KS2 have a private prayer journal to allow to record their own personal prayers. Prayer journals are used in response to collective worship, RE learning or for times of personal reflection and communication with God. This year we have a new school prayer which is said regularly in classes. St. Bernadette, be our role model and friend. Let love be in our hearts and let our school be filled with peace and joy. 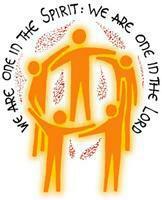 May we love and serve every member of our school community and grow together with Jesus.